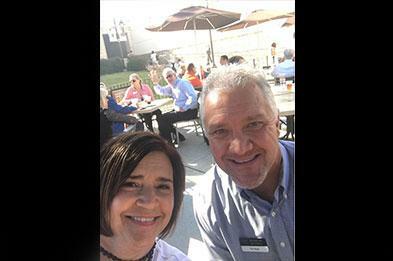 Tim and Kelly Ross recently attended a mixer hosted by the Flower Mound Chamber of Commerce. It was an amazing event and Tim and Kelly couldn't be happier to be members of this great organization that works hard to support the community. 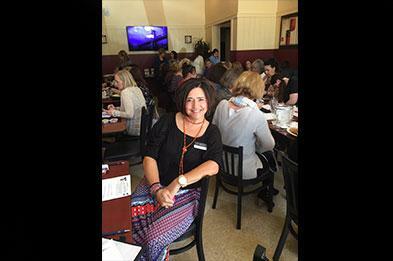 Kelly Ross recently attended the monthly luncheon hosted by the Women’s Business League at Gabriela & Sofia’s TexMex in Flower Mound, Texas. 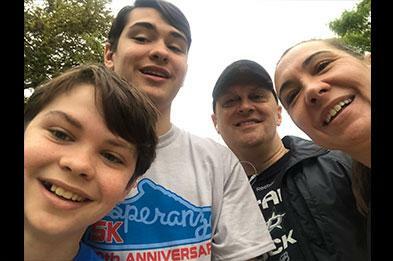 Michelle Burlison recently took part in the Esperanza 5K in support of Juntos Servimos, along with her husband and two of her children. Her 16-year-old placed third in his age group and her 12-year-old took first place. Great job, guys! 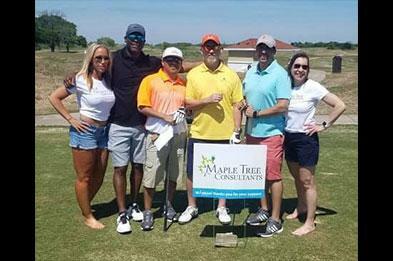 Michelle Burlison recently volunteered at Mankind's annual golf fundraiser. All proceeds raised will be used to help provide men and their families with needed support during times of medical crisis and to promote awareness about men's health issues. 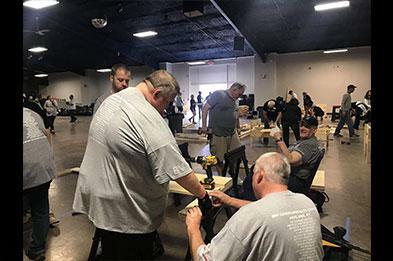 The Kentucky Credit Union League Ashland Chapter recently held their Build-A-Bed project and Lee Balaklaw was one of the many volunteers that helped out. 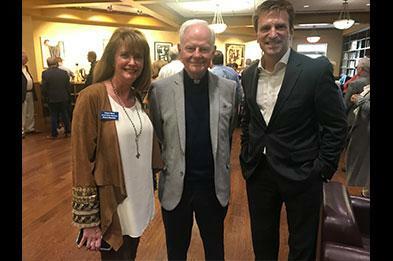 Ken and Claire Ward recently attended Jesuit Dallas Museum's Evening of the Arts featuring Alex Corno, an Italian artist and sculptor. Corno's art features abstract forms using welded iron and stainless steel. Above, Claire and Ken are pictured at the event, along with Father Phillip Postell, S. J.
Ken Ward is a volunteer with Great Days of Service, a non-profit organization all about bringing people together from different faith communities, businesses, organizations and individuals who are committed to serving God and the community. It comes together for two weekends every year to help people fix up their houses and yards. 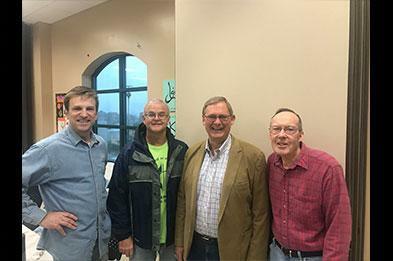 Above, Ken is pictured with James Manfull, Irving Mayor Rick Stopfer and Andy Schellenberg. 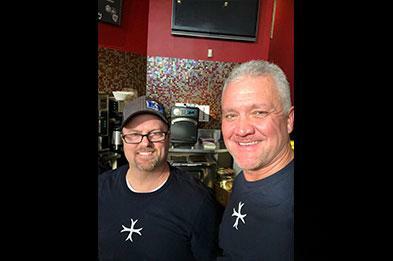 Schooley Mitchell Consultant Tim Ross recently volunteered alongside his first client and friend, Dale Marable, at an event hosted by Elevate Life Church. Together the pair served over 400 drinks to those in attendance. Great job, guys! 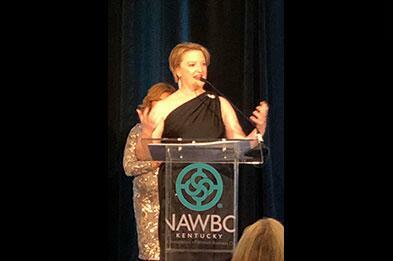 Jill Lowry was recently chosen NAWBO Kentucky’s Member of the Year for her enthusiasm, dedication and hard work to the organization. She has served on the membership committee since 2016 and was recently voted on to the board as the Membership VP this January. Congratulations Jill! Bob Hays is a volunteer at Ohio’s John Glenn Columbus Airport USO Lounge. 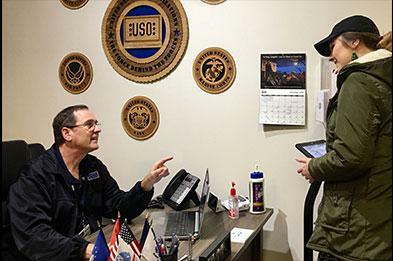 The USO Lounge is available to traveling U.S. military service men and women and their families. 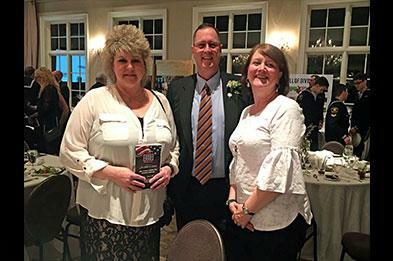 Bob Hays recently celebrated the USO's 2019 Salute To Services annual fundraiser event at Pinnacle Golf Course (Grove City, Ohio), along with attendees Shannon Massey and Cindy Walker from corporate sponsor Credit Union of Ohio. The event helped raise money for the USO's mission to keep our military connected to family, home and country. 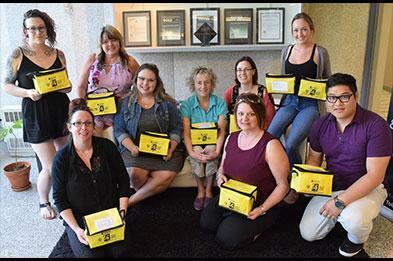 Head Office supports the Emily Murphy Centre, a local non-profit that offers second-stage housing and support to women who have experienced domestic violence. Our regular donations include personal hygiene supplies and financial support. Show here are SM's Tori Sutton and Brooke Moffatt with EMC staff. After over 50 years of skiing and five years of instructing, Don Johnston decided to take it to the next level. 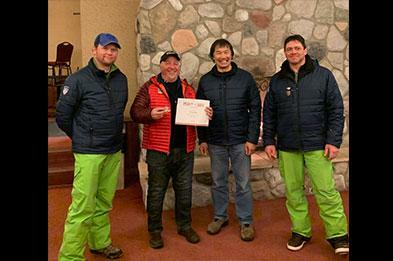 He attained his Level One Alpine Certification from PSIA/AASI-Central. 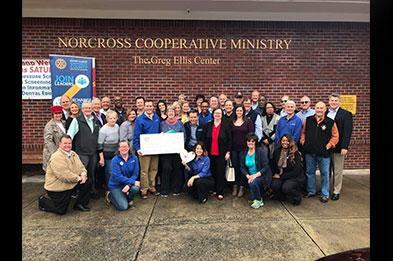 Rich Bartolotta was recently on site at Norcross Cooperative Ministry with the Rotary Club of Gwinnett County. 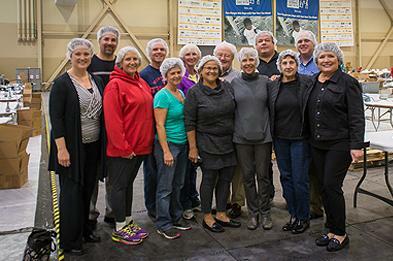 The club donated $5,000 to the ministry for food and more than 40 members came out to serve. 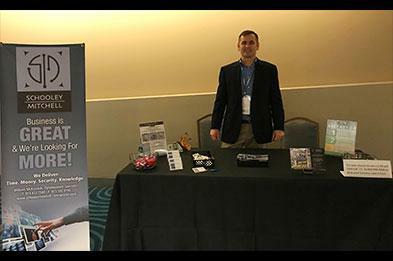 William McKissock recently sponsored the Datex Corporation User Conference at Disney's Contemporary Resort in Orlando, Florida. 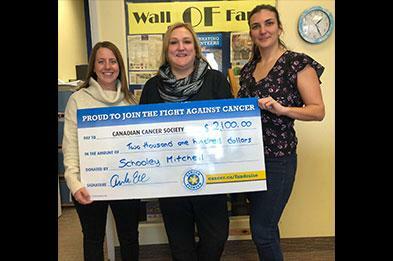 Thanks to the generous donations of Franchisees at our annual conference, Schooley Mitchell was able to raise $2,100 for the Canadian Cancer Society for Movember 2018! Plus, the CCS's Gifts for the Cure matching program meant that our $2,100 donation was matched to equal $4,200 in total value donated! Thank you to everyone who donated. Ken and Claire Ward recently attended the Jesuit Dallas Museum’s annual artist reception and jazz band review, an event the two initiated when they served as co-band presidents several years ago. The event serves as a fundraiser to both the art museum and the band. This year’s event was absolutely fantastic and had the largest turnout yet! 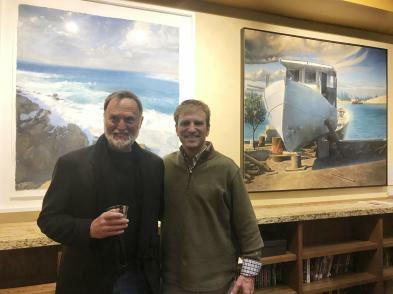 Above, Ken Ward is pictured with one of the artists, Bob Stuth-Wade. 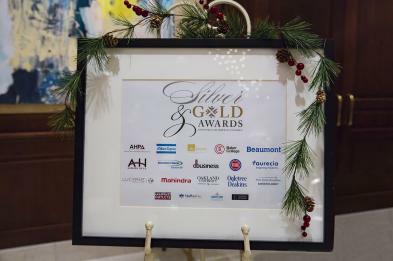 Don and Aaron took some great photos at the Silver & Gold Awards hosted by the Auburn Hills Chamber of Commerce. 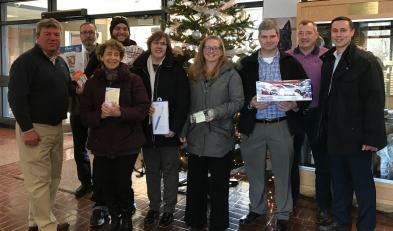 Patrick Delehanty and other members of the Professional Connections Networking Group adopted a family for the holidays through a great program from the Brookfield Department of Social Services. They shopped for gifts for the family and they were all delivered to the Town Hall for the family to pick up on December 10th. Elena Leon is a proud member of Oratorio Society of Queens (OSQ). The OSQ offers public performances at affordable ticket prices; supports musical development and appreciation programs of local schools and colleges by providing students and novices with low cost access to performances and with opportunities to participate in choral singing; and conducts pro bono performances in support of public institutions. Blaine Stephens and Michele Crawford recently sponsored the Minnesota Council of Nonprofits’ annual conference. The Minnesota Council of Nonprofits is one of the largest statewide associations of non-profits in the country. The annual conference is a great opportunity for professionals from the non-profit sector to join together, celebrate the sector, learn from one another and prepare for another year. On October 21, Lance and Tammy Spracklen attended Start-Up! 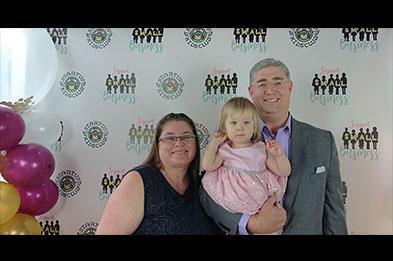 Kids Club's second annual Small Business Awards. At the event students were recognized for their entrepreneurial achievement and tenacious spirits in business as voted on by the community. 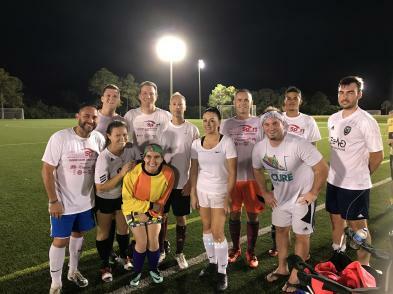 William McKissock participates in a weekly coed soccer league with Tampa Bay Club Sport every Sunday. This picture was taken with his teammates after a recent game! 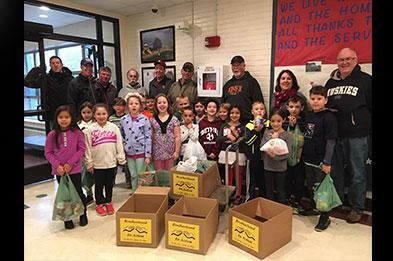 Patrick Delehanty recently collected food from Berry Elementary School, along with other members of Brotherhood-In-Action of Bethel, which will later be distributed to those in need. 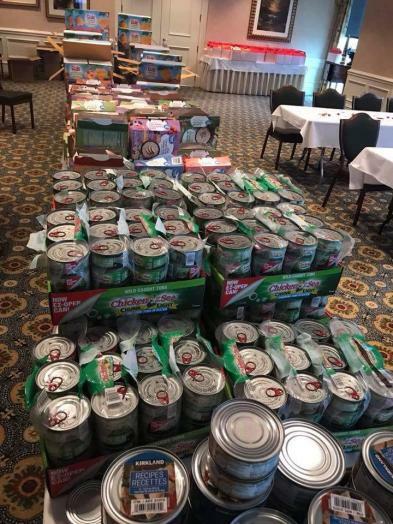 This Thanksgiving they will provide food for 153 families. 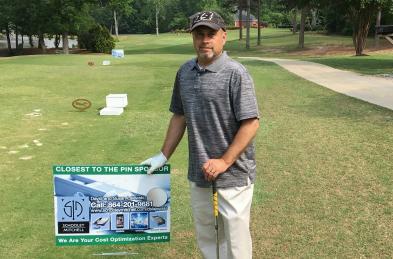 Rich Barolotta was recently a proud sponsor of this year’s St. Benedict Knights of Columbus golf tournament at Bear's Best in Atlanta, Georgia. All proceeds raised will help support local veteran groups. 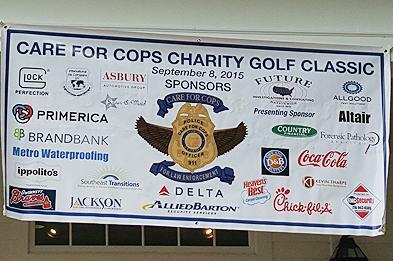 Rich Bartolotta recently participated in the 13th Annual Care for Cops Golf Tournament at Chateau Elan. Care for Cops is a non-profit organization that provides financial assistance to families of Georgia Law Enforcement Officers killed in the line of duty. 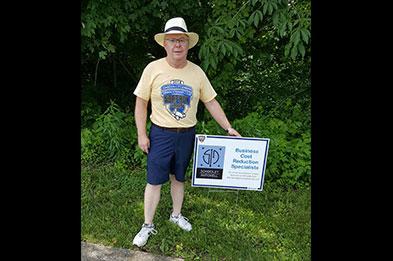 On October 14, Dave Dellacato participated in the Walk to End Lupus Now. The walk is a great opportunity to raise funds for lupus research, increase awareness of lupus and rally public support for the estimated 1.5 million Americans who are affected by it. 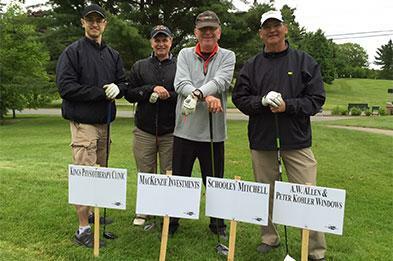 Rob Newcombe recently participated in the Al Nunn Memorial Golf Tournament in support of Chester Minor Hockey. It was a fantastic event and the turnout was great! 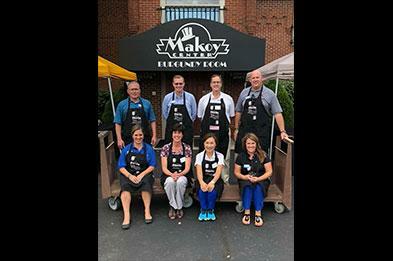 Schooley Mitchell Consultant Bob Hays recently helped with the set up for the annual Taste of Hilliard event, which showcases area restaurants and businesses, along with other members from the Hilliard Area Chamber of Commerce. 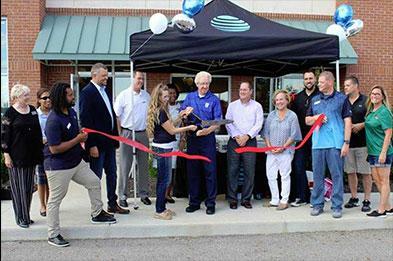 Bob Hays helped celebrate the opening of the newest AT&T retail location in Grove City, along with other members of the Grove City Area Chamber of Commerce, and Mayor Richard Stage cut the ceremonial ribbon. 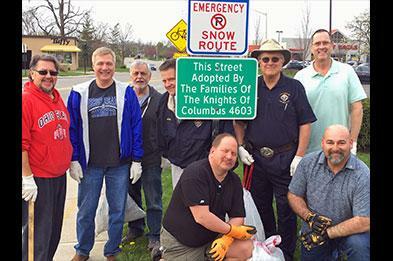 Schooley Mitchell Consultant Bob Hays is a member of The Knights of Columbus Council 4603 which regularly helps clean up a street section in Grove City as part of their commitment to give back to the community. 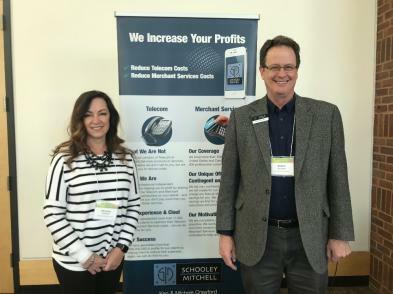 Schooley Mitchell Consultant Richard Warring recently sponsored the Recreation Vehicle Dealers Association of Alberta's 31st annual golf tournament. It was a beautiful day filled with golf, delicious food and great prizes. 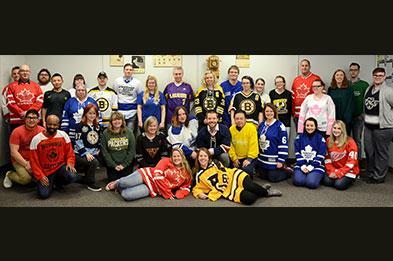 Members contributed to help raise money for Kids CANcer Care. 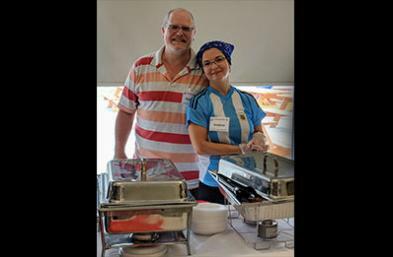 Schooley Mitchell Consultant Hernan Popper and his wife Andrea recently volunteered at Folklorama's Argentina Tango Pavilion. Folklorama is the largest festival of its kind in Canada and has been going for 49 years. Schooley Mitchell of Winnipeg is also a sponsor of this festival, supporting diversity and community involvement. 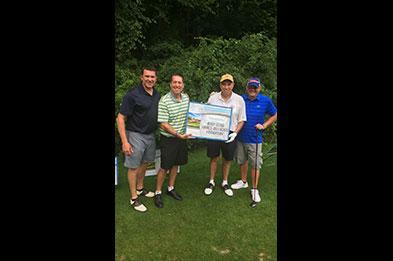 Mickey Pendergast recently sponsored a hole at the Hole in One Shootout to benefit Collicutt Siding Golf Club’s junior golf program. Its program is one of the largest in Canada with over 1,000 kids participating each week and they are currently raising money to build a 3-hole golf course exclusively for youth. 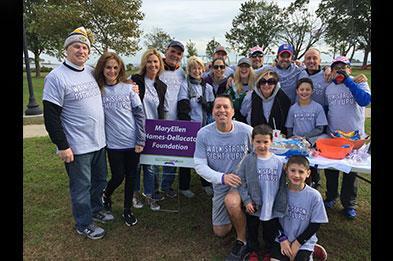 The MaryEllen Hames Dellacato Foundation honors MaryEllen’s memory through charitable works. One of the events it supports is the golf tournament for the Fighting Angels Foundation. 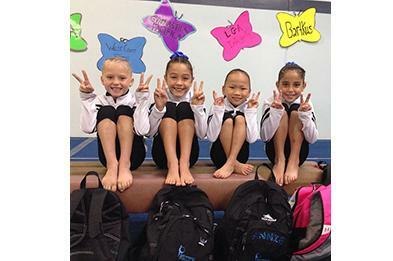 They raise money and awareness for a local child, Joey Moretti Jr., as well as all the angels with Angelman syndrome. 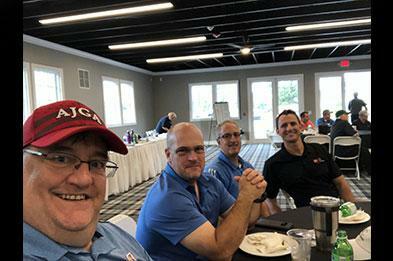 Axel Nafthal had a fantastic time with his Schooley Mitchell team at the Rotary Golf for Kids, an annual fundraiser that raises money for Big Brothers Big Sisters of the Annapolis Valley and for Rotary Sunrise. It was a beautiful day for golf and the turnout was great! 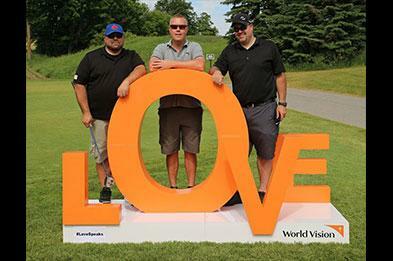 Schooley Mitchell of Toronto were proud sponsors of the Second Annual World Vision Golf Tournament held June 22, 2018. Money from the event goes straight towards helping children and families in some of the most difficult places to be a child in the world today. Schooley Mitchell was a proud sponsor of this year's Lunch With Emily, helping to raise money for The Emily Murphy Centre. This is a great event that we look forward to every year here at Head Office! 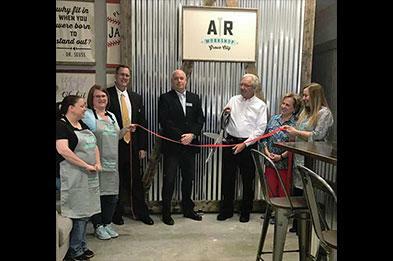 Bob Hays and other members from the Grove City Area Chamber of Commerce along with company staff celebrate the Grand Opening of the AR Workshop in Grove City, with Mayor Ike Stage cutting the ceremonial ribbon. Bob Sams was a sponsor of the local Soap Box Derby co-sponsored by the Kiwanis Clubs of Erwin, TN and Johnson City, TN. 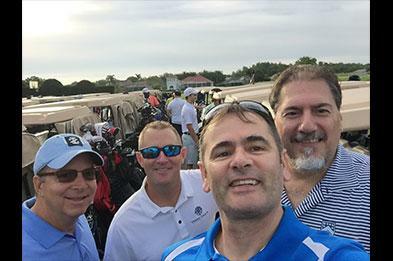 William McKissock and his BNI team recently took part in the 9th Annual Steinbrenner Football Golf Tournament in support of his son Callum's high school football team! 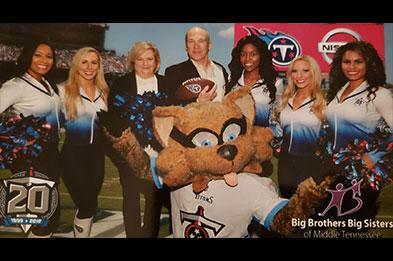 Lana and Terry Raney recently supported Big Brothers Big Sisters of Middle Tennessee and the Titans Foundation. 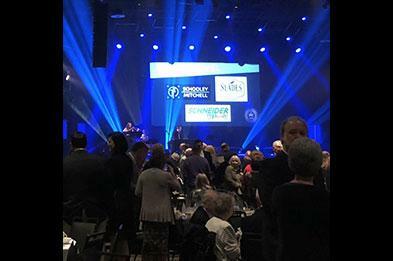 The 3rd annual Taste of the Titans Charity Dinner had tremendous support for area youth and other charities in the middle Tennessee area. Bob Hays and Brother Knights from Knights of Columbus Council 4603 recently manned the street to collect donations during the annual Measure Up Campaign for Special Olympics and the Heinzerling Memorial Foundation in their missions to support and care for children and adults with severe and profound developmental disabilities. 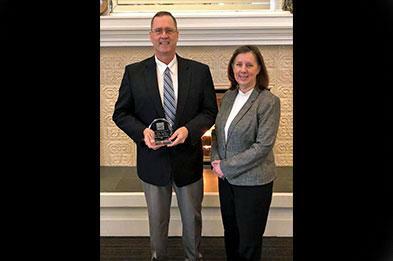 Blaine Stephens is a co-Chair of the Ambassador Committee for the White Bear Area Chamber of Commerce, as well as the Board Chair for the nonprofit organization Children’s Performing Arts. 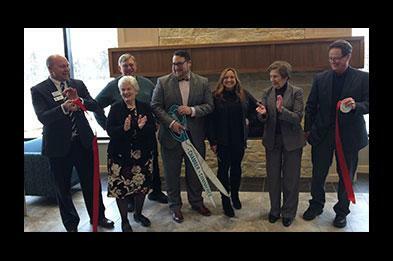 Blaine is pictured at the ribbon cutting event for the brand new Hanifl Performing Arts Center which will serve as artistic home for Lakeshore Players and Children’s Performing Arts. 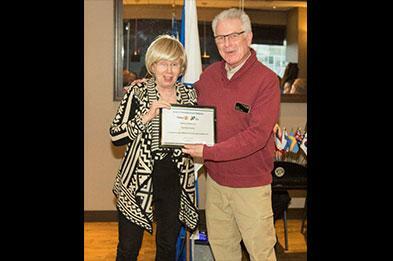 Axel Nafthal was pleased to accept the 2016 Rotary International President's Citation on behalf of the Rotary Club of New Minas Sunrise for his club's achievements in 2016. Axel was president of the club in 2016, and they were one of only three clubs in district 7820 to achieve the honour! Pictured with 2016 District Governor Elva Hayge. 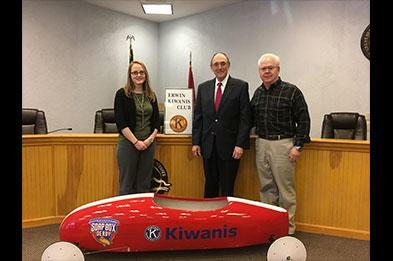 Bob Sams with the “show car” for the upcoming Soap Box Derby co-sponsored by The Johnson City Kiwanis Club and the Kiwanis Club of Erwin, TN. 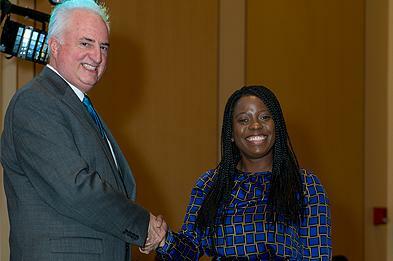 Also pictured is the event chairperson, Tara Fenner, and U.S. Congressman Phil Roe. David and Susan Laiewski were proud sponsors of the Piedmont Women’s Center 2018 Fund Raising Banquet. There were over 1800 guests and the event raised $400,000! 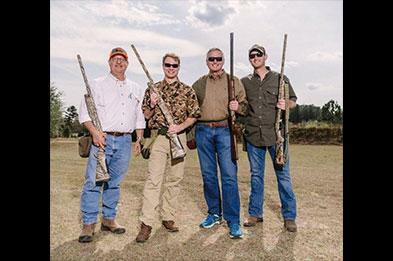 Patrick McElderry participated in the annual Aim for Clarity Sporting Clays Tournament at the Palmetto Outdoors Shooting Facility. Proceeds from the event went towards the Campaign for Clarity to bring 3-D mammography to every patient at Lexington Medical Center! 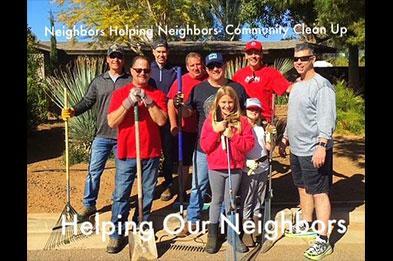 Zach Madrigal recently took part in a Community Clean Up with the Neighbors Helping Neighbors of Scottsdale. Great job Zach! Rich Bartolotta with the Gwinnett County Rotary Club packed 300 meals for Gwinnett Senior Services and Viewpoint Health. They are proud to serve their community! Blaine Stephens is the Secretary of the Board for Children’s Performing Arts, a nonprofit group whose mission is to provide a platform to explore the world of artistic expression for children and their community. Pictured with Alex, the King of Madagascar from CPA’s performance of Madagascar Jr.
Rich Bartolotta recently volunteered with a few other members of the Knights of Columbus. They helped feed around 70 men at the Downtown Atlanta Men’s Shelter! 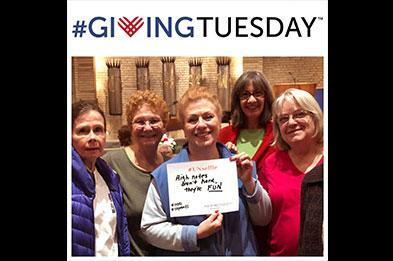 Pamela Wilkins with Jewish Nevada held their annual telethon yesterday called Super Sunday. 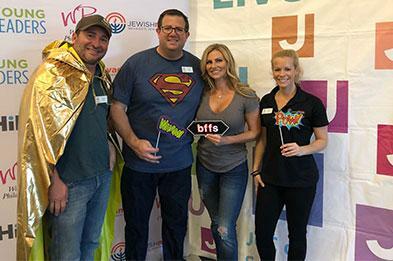 They made calls to members of the community to raise funds to send children to Summer camp and Jewish Day School and provide for the elderly and families in need. They raised over $120,000 in one afternoon! 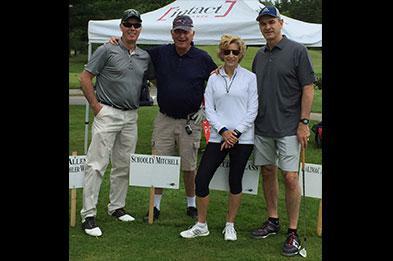 David and Susan contributed to and attended the 4th annual MHAGC golf tournament. It was a great fundraising event for the organization and they sincerely want to thank Jennifer Piver, Executive Director of MHAGC, and Hunter Morris, the event organizer! 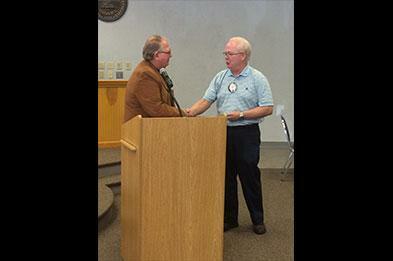 Bob Sams was recently inducted as the 97th President of the Erwin, TN Kiwanis Club! 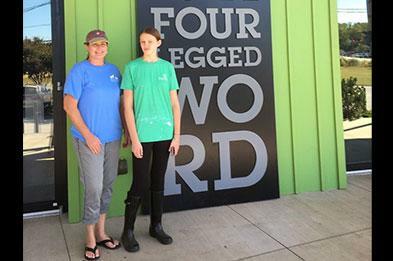 For the last several months Susan Laiewski and youngest daughter Brooke have been volunteering their time at the Greenville Humane Society working in the Puppy & Kitten area! 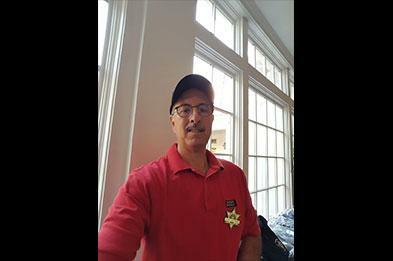 Rich Bartolotta volunteered at the 12th Annual Care for Cops Golf Tournament at TPC Sugarloaf last week. Care for Cops is a non-profit that provides financial assistance to families of Georgia Law Enforcement Officers killed in the line of duty. There were over 70 golfers at the event! 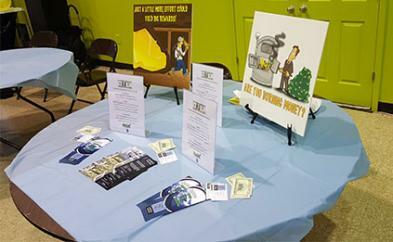 Rich Bartolotta recently attended an event at Christ the King Baptist Church as a vendor. The event was to support Touch of Light Missionary Ministries, whose mission is to alleviate the poverty effects of orphaned children in the area of Lasile, Haiti. 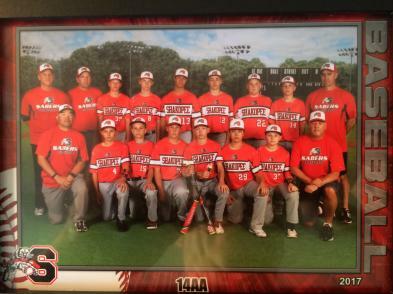 Marco Strom spent this summer coaching the 14AA Shakopee Sabers youth travelling baseball team! 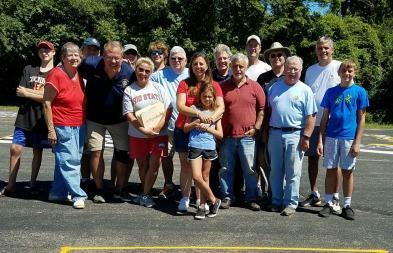 Bob Hays and other members of Knights of Columbus Council 4603 and families pitched in to help Sister Nancy with a community playground sanding, cleaning and repainting project. The playground is used by neighborhood children providing a safe, fun environment. 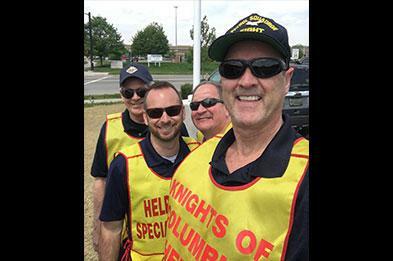 Bob Hays and other members of Knights of Columbus Council 4603 in support of the annual Measure Up fundraiser. Proceeds from the community event go to support two worthy organizations – The Heinzerling Foundationand Grove City Special Olympics. Schooley Mitchell of Greenville has been volunteering their time to provide IT support to Piedmont Women’s Center. Piedmont Women’s Center is a trusted provider of reproductive health care serving the upstate of South Carolina and surrounding areas. 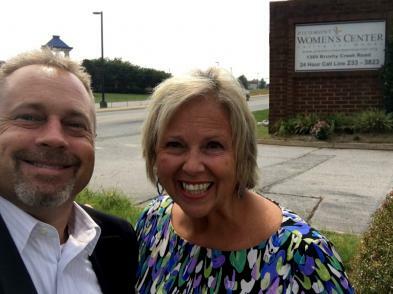 David Laiewski pictured above with the CEO of Piedmont Women’s Center, Lenna Fox Smith. As President of the Rotary Club of London South, Lorna had the honour of thanking Peter Inch for his recent presentation. Peter is the Chair of the Board for the Canadian Curling Association. 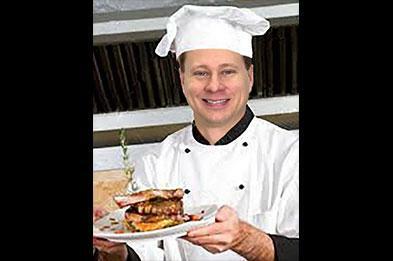 100 Men Who Cook for Kids showcased 100 men from the Midland’s and their favorite recipes. Patrick McElderry was one of the 100 who cooked their favorite dish for several hundred attendees to raise money for EdVenture’s youth development programs. 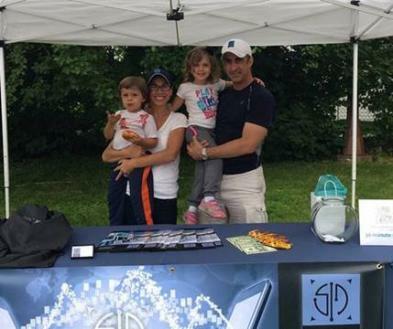 On Saturday, June 17, Jeff set up shop as a corporate sponsor at a charity 3x3 basketball fundraiser. Proceeds went to the Frances Foundation, a non-profit organization which provides financial assistance to families with children fighting cancer. Lorna presented a donation made to the London CAS Organization as part of an outreach project of the Anglican Diocese of Huron. Brand new children’s backpacks were filled with towels, face cloths, tooth brushes and paste, socks and underwear for children aged 6-13. 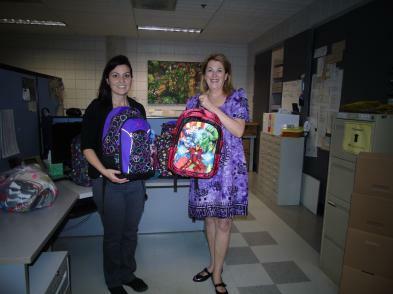 All CAS organizations within the Diocese received five girls’ and five boys’ backpacks! 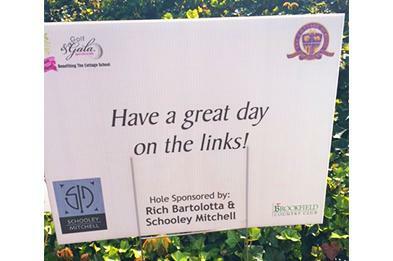 Schooley Mitchell of Greenville was one of the sponsors for the first annual Upstate SC BNI charity golf tournament. The event raised just over $1,000 designated to the winning team’s charity of choice. The prize money ended up going to a great cause, Koats for Kids! 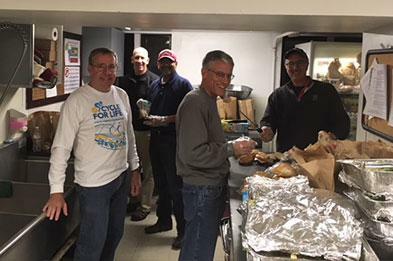 Don & Aaron Johnston volunteered with Neighborhood House, one of their local nonprofits that helps people in times of hardship toward self-sufficiency. 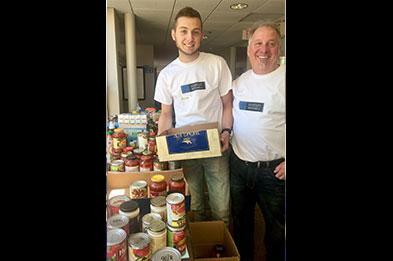 Neighborhood House were the recipients of the 25th Annual Postal Carriers Stamp Out Hunger Food Drive and volunteers like Don and Aaron helped collect and sort the food. 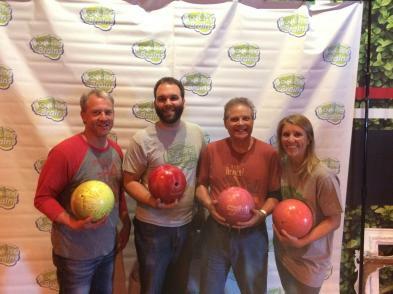 Marco participated in ‘Bowling for Brains’ on April 23 which is an event to raise money for brain cancer treatment and research. Pictured left to right: Marco Strom, Jesse Voltin, Robert Strom, Meredith Voltin. 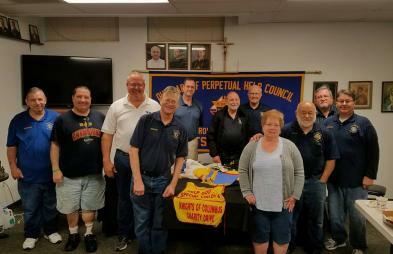 Tom Smith, president of the southwest chapter of the Pennsylvania Motor Truck Association presented a donation to Animal Friends, a no-kill shelter in Pittsburgh. Marc Schwalb is a proud member of both organizations. Dennis Schooley made a great attempt to grow a moustache (again) in 2016 and we supported his efforts! Head office’s Jessica McLean and Julia Allum proudly delivered a check for $1,740 to the Huron-Perth branch of the Canadian Cancer Society, which will go to prostate cancer and men’s health issues. 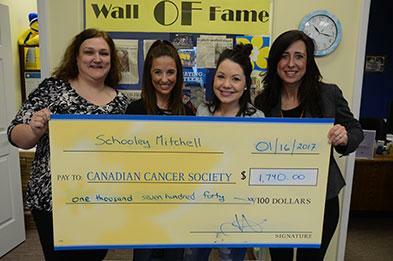 Schooley Mitchell’s Movember donation was the largest they received this year! Thanks to all SM Consultants who donated! Hernan Popper and his daughter, sorting potatoes at Winnipeg Harvest as part of the Jewish Federation of Winnipeg’s Budding Philanthropists Tzedakah Party. 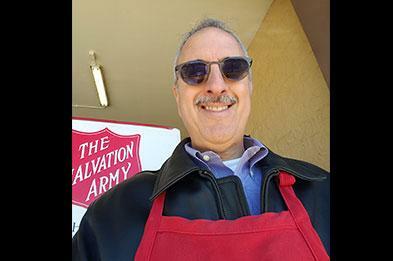 Rich Bartolotta had a great time volunteering with his Rotary Club and supporting the Salvation Army this Christmas Season with "bell ringing" and collecting donations. 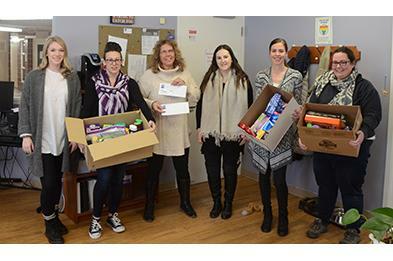 Flying Free & Schooley Mitchell head office put together stockings for every student in the Grade 1 class at Kattawapiskak Elementary School again this year. Gifts included books, toys, mittens, socks, colouring supplies and ornaments. 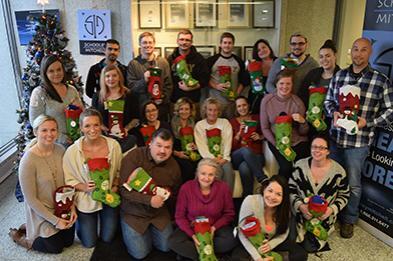 We hope the stockings help to provide them with a joyous Christmas! 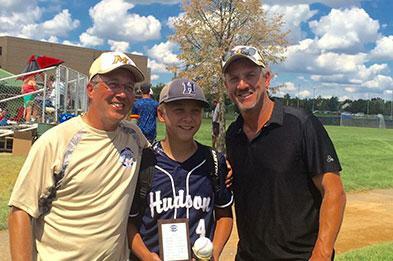 This past fall, Marco coached the East Metro/Hudson, WI “Team Gold” baseball team in the 2016 August Classic baseball tournament. 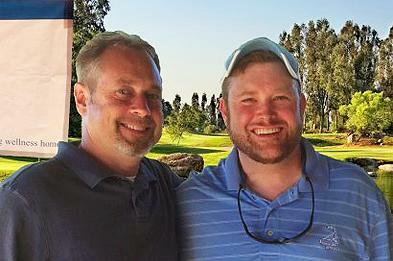 Pictured left to right, Brian Eckholm (brother in law), Mason Eckholm (nephew) and Marco Strom. 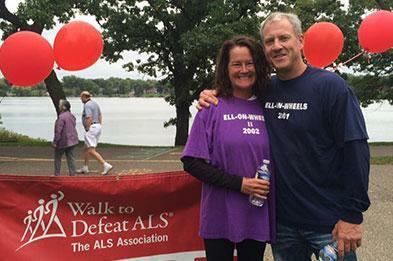 On September 17 Marco participated in the Walk to Defeat ALS. The Walk is an opportunity to bring hope to people living with ALS and raise money for a cure. Marco has been a supporter of the ALS Association since his mother Ellen Strom became a victim of the disease that ultimately took her life in 2003. 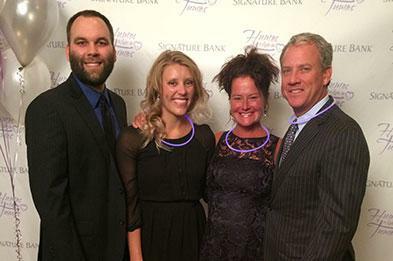 On September 10, Humor to Fight the Tumor held its 13th annual gala. Over 620 people attended and close to $325,000 was raised in net proceeds for brain tumor research. Pictured left to right Jesse Voltin, Meredith Strom Voltin, Alicia Daugherty and Marco Strom. Rich Bartolotta and over 100 other golfers participated in the Knights of Columbus 7th annual golf charity event with proceeds going towards supporting deserving veterans in the area. 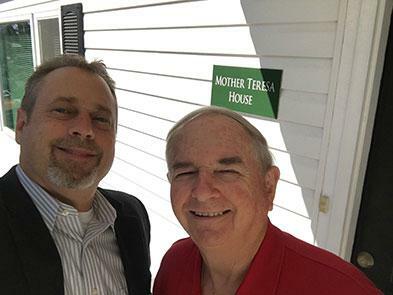 David Laiewski has been working with Deacon Ron Meyer to set up cost effective communications for the new Mother Teresa House. 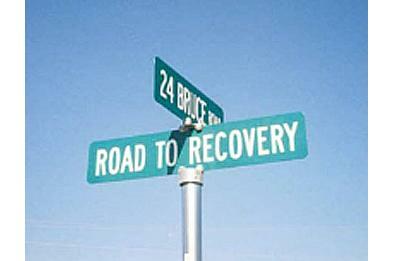 Their goal is to assist the needy with food, medical and financial programs. The organization should be in full operation in time to serve the community before the holiday season! 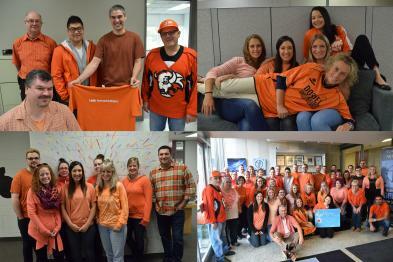 Head Office and Flying Free celebrated Orange Shirt Day on September 30, 2016. This day is an opportunity for First Nations, local governments, schools and communities to come together in the spirit of reconciliation and hope for generations of children to come. 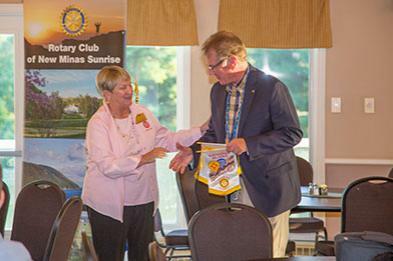 Axel Nafthal, currently serving as this year’s president of the Rotary Club of New Minas, was presented with rotary banners from the Rotary Club of Albuquerque. 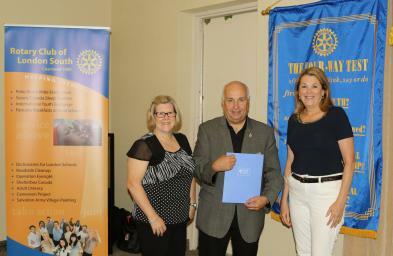 The club members from New Mexico were visiting the New Minas district on a Rotary Friendship Exchange. 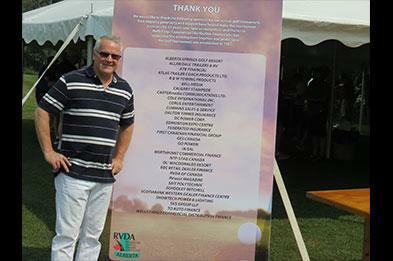 Patrick McElderry was one of the sponsors at the Wild Mayhem Golf Tournament to benefit the Special Olympics and breast cancer research. 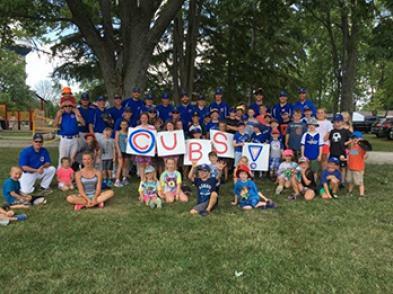 Head Office’s Murray Patterson coaches the Stratford ANAF Cubs U21 Fastball team. He is shown here, kneeling at left, with his team spending some time with budding players at Camp Alliwanado during the recent Junior Men’s National Championship. 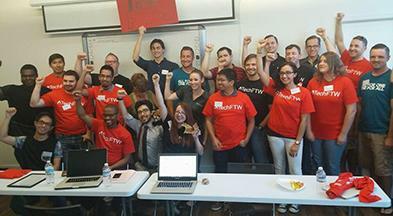 Travis McElroy (5th from right) spent a weekend helping out with the KIT (Kern Innovation & Technology) Community at their Tech Fighting The Wildfires application development ("hackathon") weekend. Travis was very inspired by the five teams that formed to develop live applications to help with Disaster Relief and Wildfire Response Support. 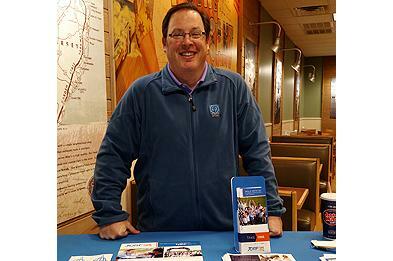 Axel Nafthal recently participated in the 20th Annual Big Brothers Big Sisters/Rotary Club Golf Tournament. 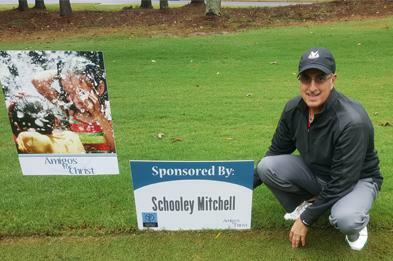 Schooley Mitchell was a proud hole sponsor! It was a great day of golfing for a good cause. 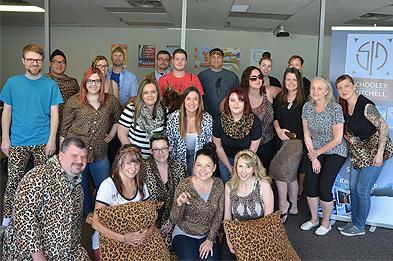 Head Office staff got together to celebrate the memory of Ava Stam on what would have been her ninth birthday. June 2nd has been unofficially dubbed Cheetah Print Day by her mother Kristin in support of all children affected by childhood cancers. 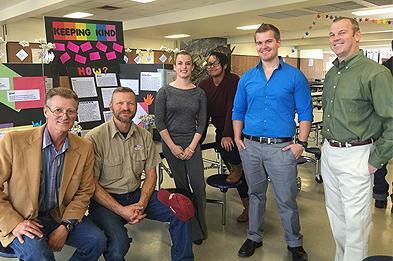 Dave Tankersley recently volunteered to be a judge at his local high school’s inaugural entrepreneurial arts and community projects competition. 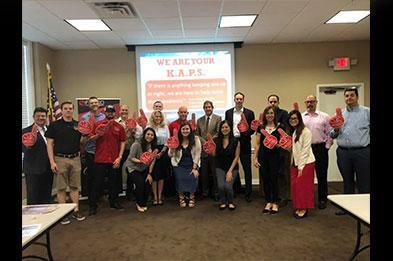 Dave enlisted the help of four fellow BNI members to assist with judging, and the students did a great job creating and presenting their impressive projects. 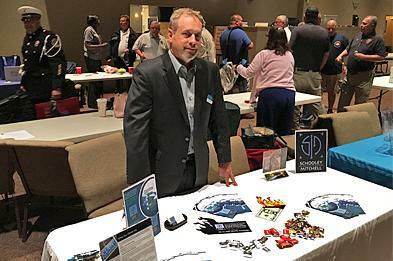 David Laiewski recently attended the 26th Annual Vendor Night put on by the Greenville County and Spartanburg Fire Chiefs’ Associations. David contributed a Chromecast as a door prize for the event, and all proceeds from vendor registration were donated to the Greenville County Fire Chiefs’ Association Scholarship. 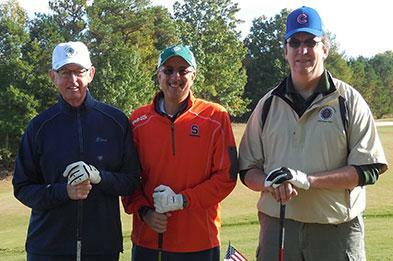 Rich Bartolotta recently participated in the 9th Annual Swing into Spring Chairman’s Club Golf Tournament. 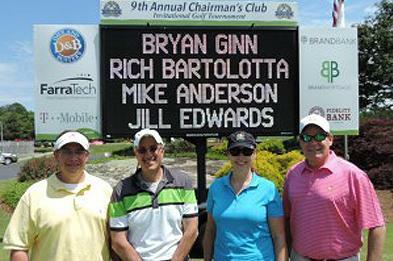 The tournament was organized by the Gwinnett County Chairman’s Club, of which Rich is a proud member. Jerry Sarno recently participated in the annual Michiana Shop & Greet for the third year. He was the Lead Shark in the “Pitch to the Sharks” competition, where 24 entrepreneurs vied for $250 in grand prize money by giving their best elevator pitch to panel of 5 prominent business people. 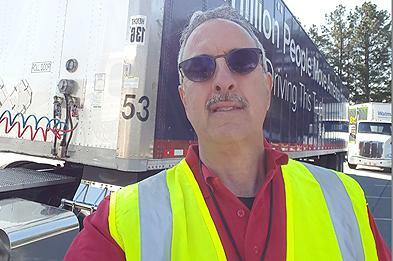 Rich Bartolotta volunteered at the Truck Driving Championships put on by the Georgia Motor Trucking Association. Rich followed competitor’s trucks around the course to keep track of their times and record the scores delivered by inspectors at each obstacle. 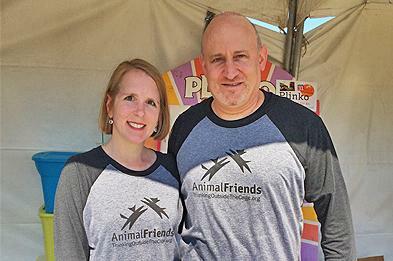 Marc Schwalb and his wife Amy recently represented Animal Friends by volunteering at the Healthy Pet Day fair in Wexford, Pennsylvania. The pair operated the information booth, and helped raised funds for Animal Friends by playing games like Plinko and raffling off baskets full of goodies. 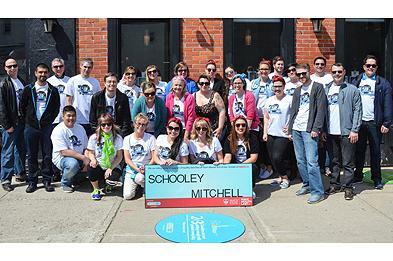 Schooley Mitchell Head Office staff recently rode on the Heart & Stroke Foundation’s Big Bike. The team dressed up in their best 50s inspired duds and rode around downtown Stratford. In total, the Schooley Cooleys raised $1,630 for lifesaving heart disease and stroke research. David and Susan Laiewski recently participated in a community yard sale, where they collected hundreds of clothing items to be donated to The Turning Point of South Carolina. Turning Point provides transitional housing, employment assistance, and job training to those recovering from alcohol and other drug addictions. 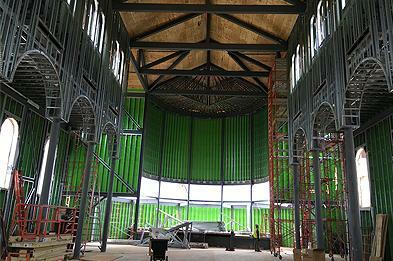 Our Lady of the Rosary in Greenville, South Carolina is building a new sanctuary. David and Susan Laiewski are volunteering their time to help plan their client’s communications in the new facility. 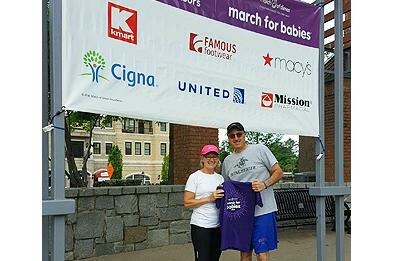 Rich Bartolotta and his wife Peggy recently participated in the March of Dimes’ "March for Babies". The pair walked 5K to raise funds and awareness to help fight premature birth and other life threatening challenges newborns face. Rich Bartolotta recently sponsored a hole at the Azalea Festival Invitational Golf Tournament to benefit The Cottage School Endowment Fund. The Cottage School was founded 31 years ago to support kids with learning disabilities and provide them with a solid education. 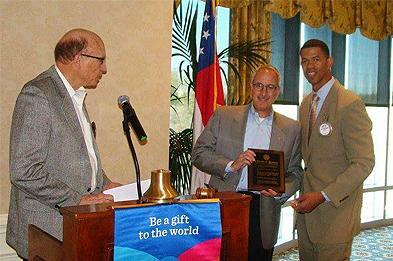 Rich Bartolotta was recently inducted as a new member of the Rotary Club of Gwinnett County. 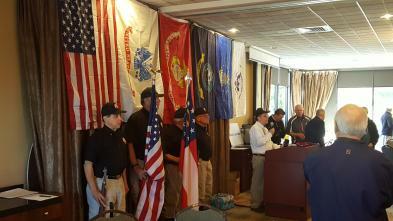 The Gwinnett County Chapter was formed in 1973 and currently has over 100 members. 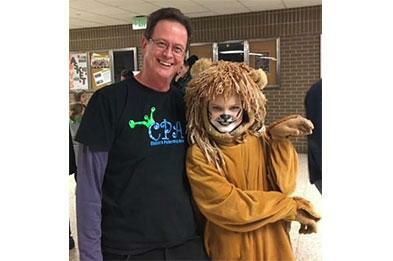 Brandon Cook recently volunteered his time in support of JDRF. He helped out with the “Day of Giving” campaign put on by Jersey Mike’s Subs. 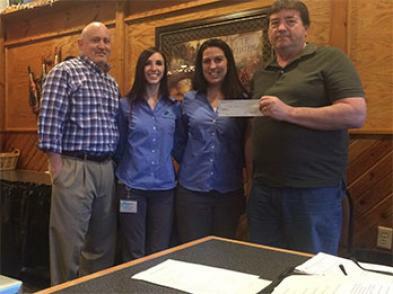 On March 30, all receipts from Triad locations of the restaurant went to JDRF. Over $40,000 was raised to fund type 1 diabetes research. 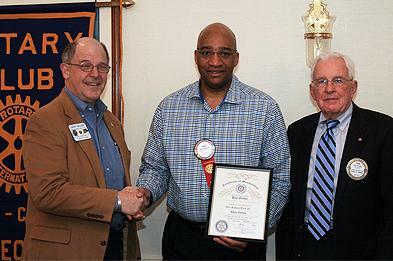 Paul Nelson recently became a member of his local Rotary Club. He proudly displays his Certificate of Membership in the above picture, while posing with fellow members of the Rotary Club of Avon-Canton. 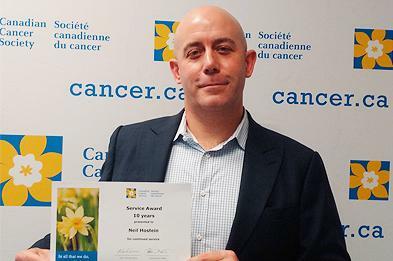 Neil Hostein was recently recognized for ten years of service with the Canadian Cancer Society. During Daffodil Month in April, Neil canvases door to door and sells daffodils outside of his local bank or supermarket to help raise funds for this important cause. Dennis Schooley made a great attempt to grow a moustache (again) in 2015 and we supported his efforts! 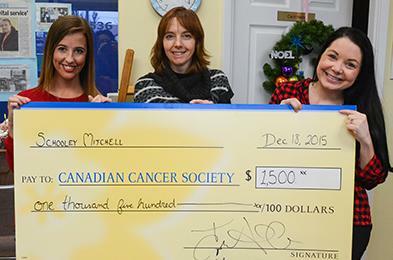 Head office’s Jessica Fritzley and Julia Allum proudly delivered a check for $1,500 to the Canadian Cancer Society, which will go to prostate cancer and men’s health issues. Thanks to all SM Consultants who donated! 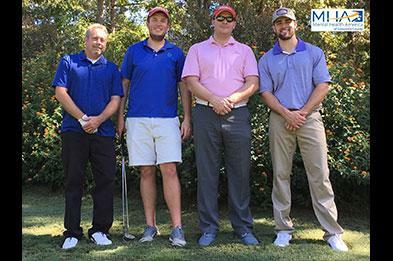 Brandon Cook (pictured in orange pullover) recently took part in the 5th Annual Charity Golf Tournament benefiting the Pennybyrn at Maryfield retirement community. The event is part of their Annual Campaign for Resident Care. In total, $21,000 was raised for the cause. 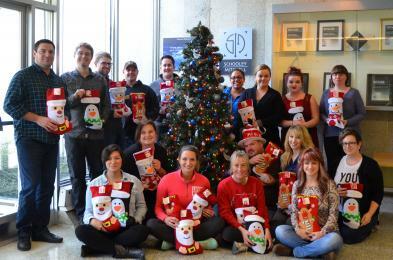 As its annual holiday effort, Schooley Mitchell head office put together stockings for every student in the Grade 1 class at Kattawapiskak Elementary School. Gifts included books, toys, gloves, hats, socks, stickers and Christmas ornaments. We hope it makes Christmas a bit brighter for all the children! 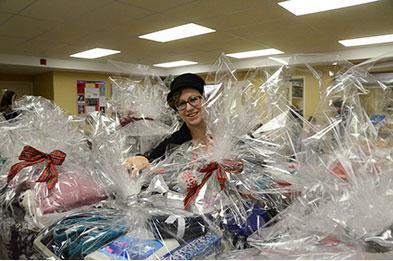 Head Office’s Tori Sutton is a volunteer with the Stratford Basketeers program, which collects laundry baskets filled with items that women need to start a new life after leaving their abusive situation. Over 100 baskets were collected during the 2015 drive. David and Susan Laiewski are proud to support Mental Health America of Greenville County. 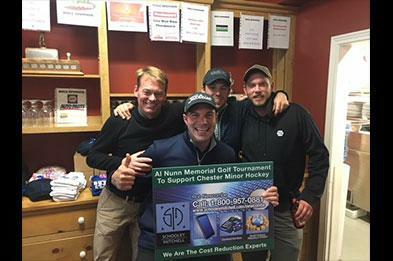 David recently joined 67 other participants for the 2nd annual Charity Golf Tournament to raise money for the cause. 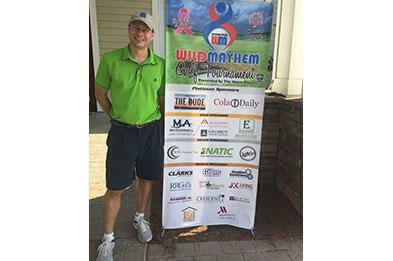 Rich was recently a sponsor at the Tenth Annual Amigos for Christ Golf Classic held in Burford, Georgia. The event was an enormous success! 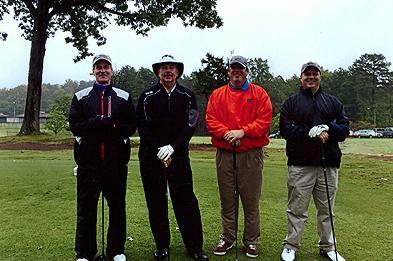 Rich Bartolotta recently participated in the Tenth Annual Care for Cops Charity Golf Classic held in Duluth, Georgia. Rich also helped to acquire items for the silent auction held after the day of golfing. In total, the event hosted over 180 golfers and was a big success! 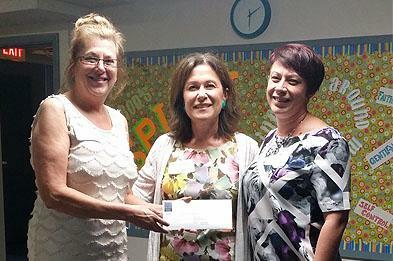 Lorna Fratschko is happy to be supporting Hope’s Garden through her “Giving Back” program. Schooley Mitchell thanks Linda Hunter and the London Knights for directing their residual funds to Hope’s Garden for a period of 3 years. Schooley Mitchell Head Office recently participated in the “Light It Up Blue” campaign to help raise awareness for autism. 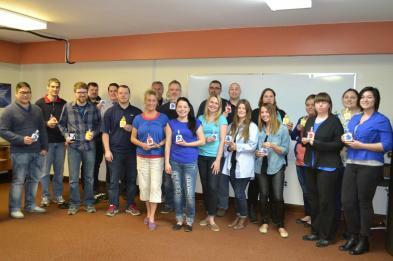 The entire staff dressed in blue to show their support for World Autism Awareness Day. Rich recently participated in the March for Babies in Suwanee, Georgia to help raise funds to research and prevent the health problems threatening babies. 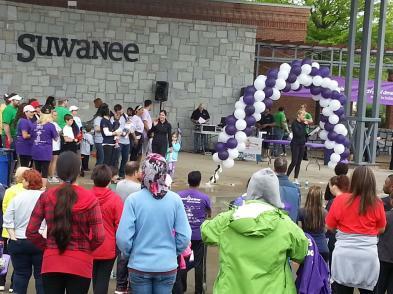 It was a cloudy day, but lots of people took part to support this worthy cause! 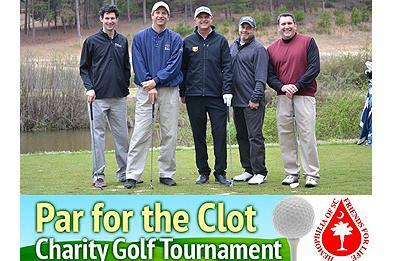 David Laiewski (pictured second from the right) recently participated in the inaugural Charity Golf Tournament “Par for the Clot” that raised $20,000 in support of the ongoing research of the National Hemophilia Foundation. 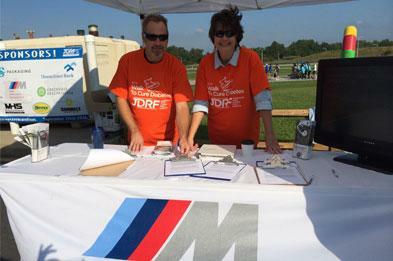 David and Susan are proud supporters of the JDRF Walk to Cure Diabetes and team "Cameron Can!". They recently volunteered at the event held at the BMW Performance Center, where they registered over 150 attendees for a "Hot Lap" on the test track. Each registrant qualified by contributing at least $350. 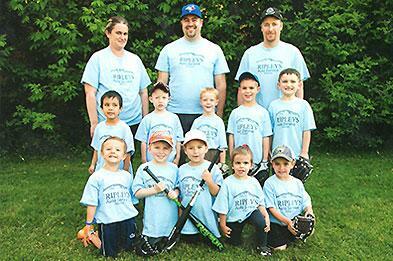 Adam is the volunteer head coach of the Ripleys Auto Service T-Ball team, which is part of the Alliston Minor Softball Association. 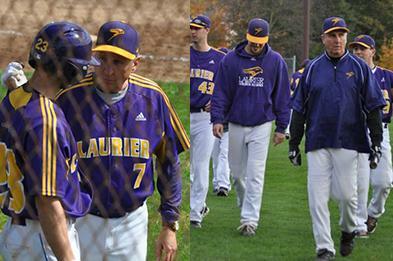 Dennis has been involved high-level baseball for most his life as a player and coach, including time spent coaching the Wilfrid Laurier Golden Hawks Men’s Baseball team. 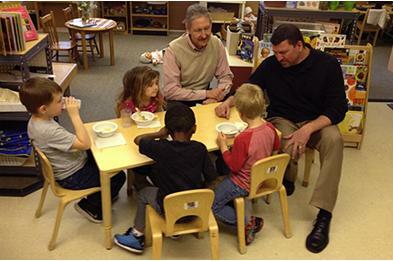 Bill and Sam have established a special fund with the Childhood League Center in Columbus to help families in need. Here they are shown visiting with some of the children at the center, which offers educational programs and therapeutic services. Marla doesn’t have a dog ... or does she? 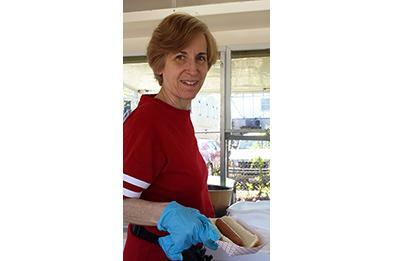 Marla supports the local Humane Society and volunteered during its recent fundraising dog walk, serving up hot dogs to hungry participants. 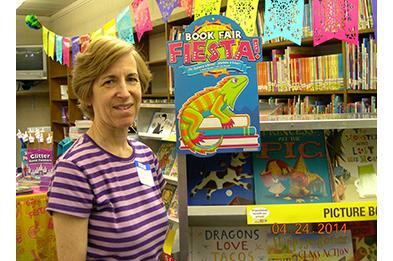 Marla enjoys helping out in her community and recently volunteered at the local elementary school’s book fair. 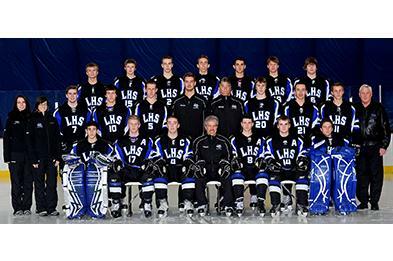 John has been heavily involved in minor sports for many decades, as a coach, official and volunteer. Most recently, he’s served as team manager for the Lockview Dragons, which plays in the competitive Metro High School Hockey League. 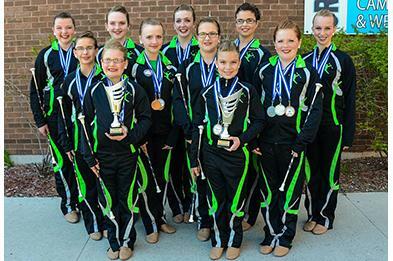 Tori is the club director and head coach of the Festival City Twirlers. Her girls have won numerous Provincial and Canadian Championships and have represented Canada at the last 3 World Championships, bringing home a bronze medal from Switzerland in 2012. 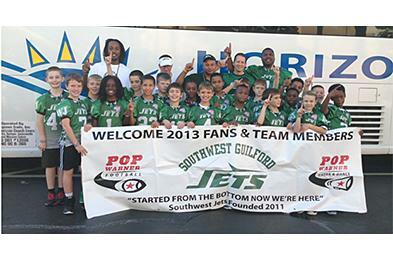 Ken is a volunteer coach of the Southwest Gulford Jets, a youth football team in the Northwest Midget Pop Warner Football League. 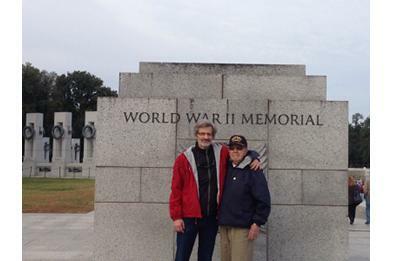 Greg Lowry proudly supports The Honor Flight Network, which flies vets to Washington, D.C. to visit memorials.